So the rule is, Show, don't tell. And it would be a good rule, too, if people understood the meaning of it. So many people don't. They think it means "Action, not words." It's as if they've never read "Hills Like White Elephants." Or didn't understand it if they did. 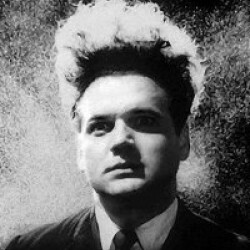 The misinterpretation of the rule is particularly visible in film. Film being a visual medium, the pressure to fill the screen with movement and action and color and effects is tremendous. That's what "showing" is all about, right? No, it isn't. To show something is to cause the viewer (or reader) to experience it in a way that's relevant to the story. "Action" is only one way of doing this, and often an inappropriate one at that. One excellent example that springs to mind is from The Conversation, starring Gene Hackman. But I'd have to spoil a major plot revelation to describe it, so how about Jaws? I'm not spoiling anything to remind you of the Indianapolis scene from that movie. This is the scene, on board the Orca, in which Richard Dreyfuss and Robert Shaw compare the marks on their bodies, one of which leads Shaw into his monologue about the fate of the ship that was sunk during World War II after having delivered parts of the atomic bomb to an American air base. In most movies, a flashback would have been substituted for the monologue since, after all, to show those poor Navy men being eaten by sharks is a lot better than having Shaw tell us about it, isn't it? Not on your life. And for a number of reasons, two of which are (1) all that mayhem would have spoiled the dramatic arc of the story and (2) what was, at that moment, important for us to experience was not a disaster at sea, but one survivor's recollection of it and all the unstated effects it had on him. Properly understood, the scene is the rule of "Show, don't tell" brilliantly demonstrated. And it's all just talking. 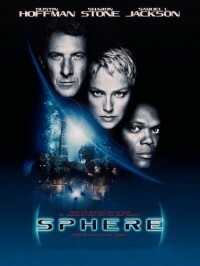 Which brings me to Sphere, a movie that treats dialogue as though it were a hostile alien being. At just over two hours, this could have been a terrific movie. It had the time, the director (Barry Levinson, ironically the director and writer of the dialogue-heavy movie Diner), and it had the cast. And it had great source material. Michael Crichton's books are basically narrative screenplays, anyway, which is one reason he's had better than average success with adaptations of his work. But when they go wrong, they go terribly wrong. It only takes about ten minutes for this one to jump the track. It takes about that long for us to realize that all the characters have been changed (although shortchanged would be a better term). Not for any logical reason, either, but because character development would have entailed meaningful dialogue and quiet moments of revelation. There is one scene like this in the early going, but even it gets derailed by Samuel L. Jackson doing a variation of his character from Jurassic Park. I can imagine the filmmakers thinking, Well, if we have to tell something, let's let Jackson do it really fast. But the dumbest thing about all this is that, in the novel, the personalities of the characters are important. That's why a psychologist is the hero. Norman, the psychologist, is the hero in the film only because that's the way it was in the book. Intrinsically, it makes no sense at all. I don't have a major objection to the sphere itself, except that it illustrates the wrong-headedness of the entire movie. Crichton showed us "a large, perfectly polished silver sphere." That, obviously, would have been much too dull for a movie. So Levinson gives us a rippling, liquid-like gold sphere, forgetting that if its alien-ness derives from its appearance, then the screenplay must be seriously deficient. For the record, Sphere is about a group of scientists who are called in to investigate a spacecraft found at the bottom of the Pacific ocean. They find a mysterious object on board, the sphere, and strange things begin happening. Dangerous things. Cut off from their surface support, they must fight for their lives a thousand feet below the surface. Of course, once the fighting begins, the movie is essentially over. Except that it keeps getting sillier. All these people are trapped under a thousand feet of water, down where the water temperature is a rather chilly 34 degrees. One of them, however, has to swim from one part of the habitat to another, and when he comes out, he might as well be emerging from a warm bath, for all the effect it has on him. The crowning stupidity is the ending, which isn't the ending of the book at all. I won't tell you what it is, but I will say it's insultingly literal, a case of showing us something that was better left to our imaginations. Clearly, though, the people who made this movie don't believe we have any.